Enjoy the top 1 famous quotes, sayings and quotations by Charles Paul. 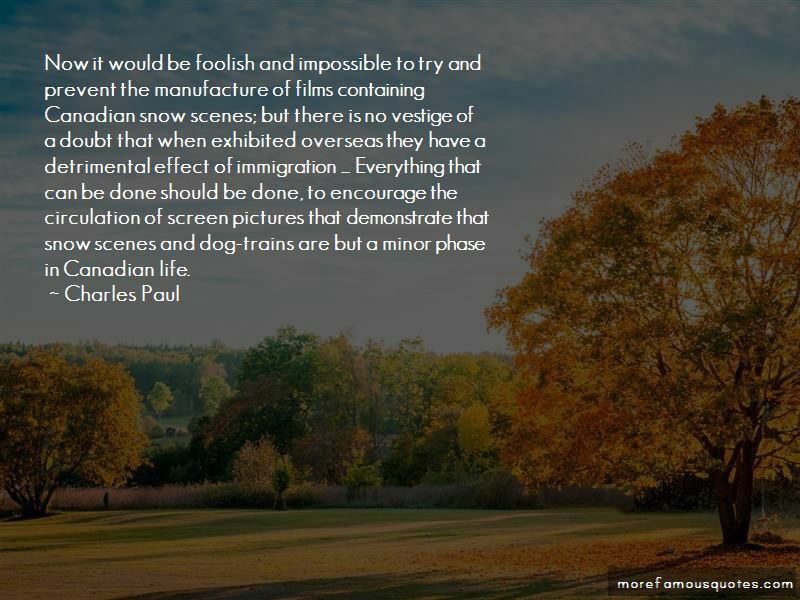 Now it would be foolish and impossible to try and prevent the manufacture of films containing Canadian snow scenes; but there is no vestige of a doubt that when exhibited overseas they have a detrimental effect of immigration ... Everything that can be done should be done, to encourage the circulation of screen pictures that demonstrate that snow scenes and dog-trains are but a minor phase in Canadian life. Want to see more pictures of Charles Paul quotes? Click on image of Charles Paul quotes to view full size.